The Laser Body Sculpting Pricing list is available below. Our body sculpting services are non-invasive . Venus Viva™ treatments are safe for all skin tones. One treatment can be purchased at a time or you can purchase a package treatments. Laser Body Contouring Cost is broken-down into 8 main areas for treatment on the body and 3 treatment areas on the face. These procedures are intended to contour hard-to-tone areas. When you schedule a free consultation we can develop a customized treatment plan for you. Energy is used to encourage cells in the treated area to break down and then ultimately be released. Being that stretch marks and sagging skin are inevitable for most people, innovative technologies have been developed to smooth and even the skin. As a result, the skin contracts and tightens. Laser body sculpting is available for men and women. A package includes 8 treatments. A single session is also available for purchase. The skin on the face, neck and decollete are all separate areas to be treated. Cosmetic lasers demonstrate the ability to remodel collagen. Cosmetic lasers are used for the purpose of reducing the appearance of fine lines, textural irregularities, wrinkles, and pores. Nonsurgical resurfacing done with the Venus Viva™ is less uncomfortable than other traditional alternatives. Skin tightening can be performed on main areas of the body. As a result, stubborn fat is reduced. The advanced facial technology removes all imperfections and leaves the skin smooth and radiant. In fact, both the skin on the face and the body can be treated to achieve your cosmetic goals. 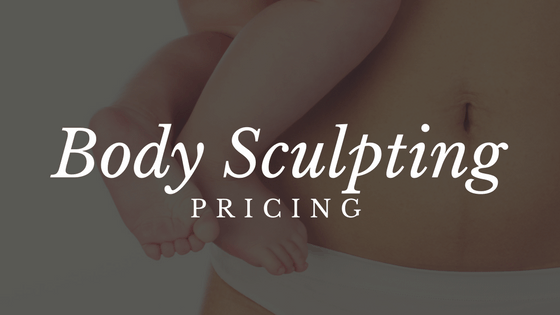 Use this Laser Body Sculpting Pricing List to guide you through deciding your cosmetic goals. Select a price to learn more about that service.